Whether you are hosting a special occasion or a dinner with your family, arranging sliver pitchers or trays can surely set the right mood. 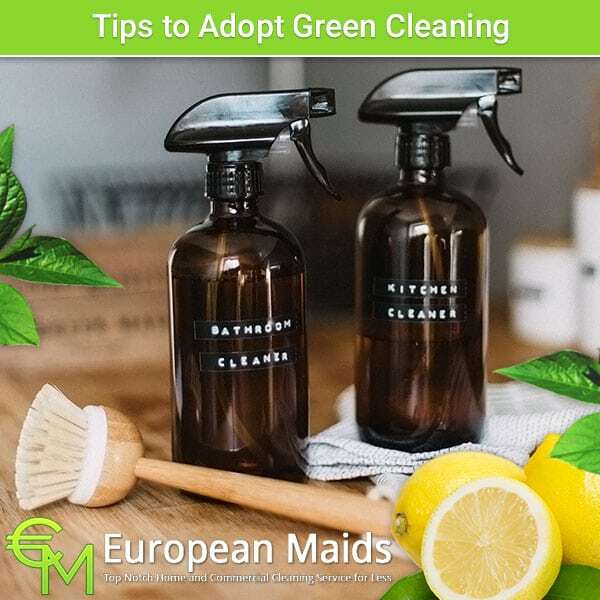 However, if you are not using silverware regularly, then you need to take care of them as you proceed with the home cleaning tasks. By going through the tips mentioned below, you can clean the silver pieces thoroughly even when you have to finish off numerous tasks. But, before moving ahead, it’s always better to seek assistance from someone because silverware is delicate and valuable. Never think about cleaning the dishes and cutlery all by yourself. 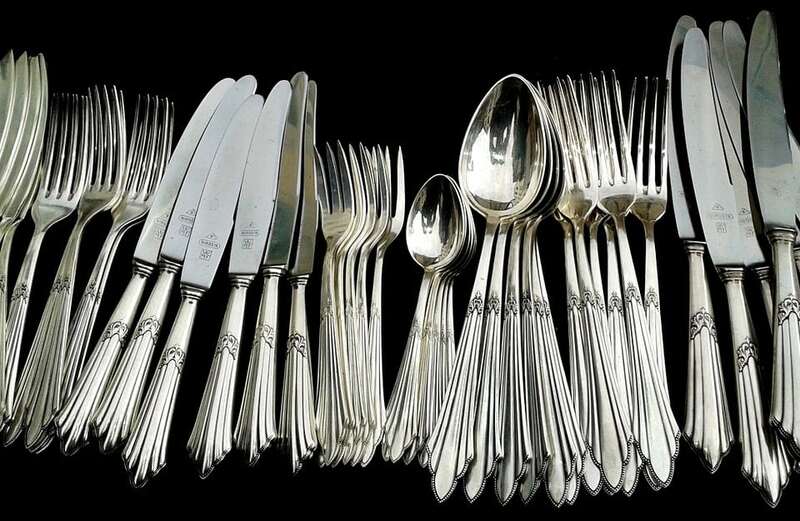 Baking soda and vinegar can always help for cleaning silverware. For the task, you will need an aluminum foil, a glass baking dish, one to two cups of boiling water, half a cup of distilled vinegar, one tablespoon of sea salt, one tablespoon of baking soda, and a soft cloth. As you start off, you first need to place the aluminum foil inside the baking dish. Do make sure that the shiny side is not in contact with the dish but is exposed to air. Soon after you have mixed baking soda with salt, you need to sprinkle it across the dish. You then have to pour vinegar and wait till the liquid reacts with baking soda. After some time, you need to pour boiling water carefully. While you are following this step, you must make sure that water doesn’t come in contact with the skin. A bit later, you should place the silverware in the baking dish. As you move on with the step, ensure that the silver pieces are touching the aluminum foil. Moving ahead, you need to keep the tarnished pieces for 30 seconds. In case the silverware is quite dirty, then the cutlery has to be placed for three minutes. Once you are sure that the silverware has been soaked for some time, you need to remove them with the help of tongs. Make sure you carry out this step slowly or else you might burn your fingers. Finally, you should wipe the silver pieces with a soft cloth and buff them at a later instance. In case you need to clean additional cutlery, then it’s always better to repeat the steps with a fresh solution. Toothpaste is generally used to clean the teeth. But, you can also use it to restore the shine of silverware when you are busy with home cleaning tasks. To clean the cutlery, you will need toothpaste along with a toothbrush, a soft cloth, and warm water. Firstly, you need to rub toothpaste on silverware with the help of the soft cloth. While you carry out this step with great care, you shouldn’t make sure that the paste doesn’t cause scratches. After cleaning the silver pieces, you should remove the dirt gently by using a toothbrush. Later, you need to rinse the pieces under warm water and wipe them with a clean and soft cloth. Baking soda always works for cleaning silver pieces because it has the ability of neutralizing odors. For the task, you first need to mix three parts of baking soda in one part of water to form a thick paste. Later, you need to dip the soft cloth in the mixture and rub it on the silver pieces. Be gentle so that scratches don’t appear on the surface of the silverware. Afterwards, you need clean the pieces with a toothbrush, rinse them under water, and wipe them dry with the cloth. 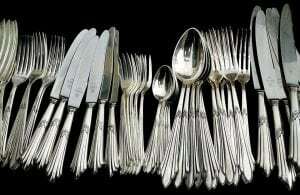 While these methods can certainly help to clean silverware, you may still need to apply some silver polish to make them shine. 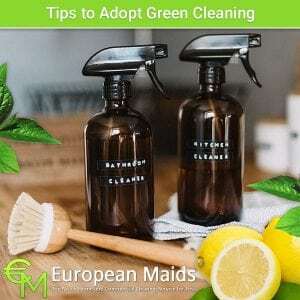 Since 1995, European maids have always been recognized for home cleaning services. Satisfaction is always guaranteed when experienced and trained maids do the tasks at the best and lowest price. Apart from residences, the team also lends assistance for cleaning offices, hotels and rental properties.